Although Simone doesn’t remember her very first CrossFit WOD, she does realize how far she has come over the years. When she initially started CrossFit she was using the thickest band for pull-ups. Finally she gained enough strength and was able to work her way down to a smaller band. These days she is proud to say that she is able to complete five unassisted pull-ups in a row! Way to go Simone! Simone always walks through our doors with a smile on her face, ready to tackle any workout we have programmed that day. Her sister, Michelle, also shares a love of CrossFit. They workout together from time to time which gives them motivation to push each other harder. Can’t beat a family that works out together! One of Simone’s favorite things is running. She ran cross country and track in high school and recently rediscovered her love of running two years ago when her family was stationed in Hawaii. While living there she participated in two half-marathons. So naturally, any workouts that involve running is right down Simone’s alley. Snatches on the other hand, are not on her list of favorites. She doesn’t have any one particular goal set right now, but she stated that she would like to focus on perfecting her technique and form on multiple lifts. In Simone’s everyday life she is 33 years young and married to her husband, Brandon Dobard. Together they have two little girls Emmalyn, 8, and Maddie, 3.5. When she’s not chauffeuring the kids to dancing, gymnastics or helping with homework, she enjoys fishing, hiking and being outdoors. Since they have recently settled back in New Iberia, Simone plans on furthering her education and/or rejoining the workforce. If you are interested in CrossFit, here’s what Simone had to say. 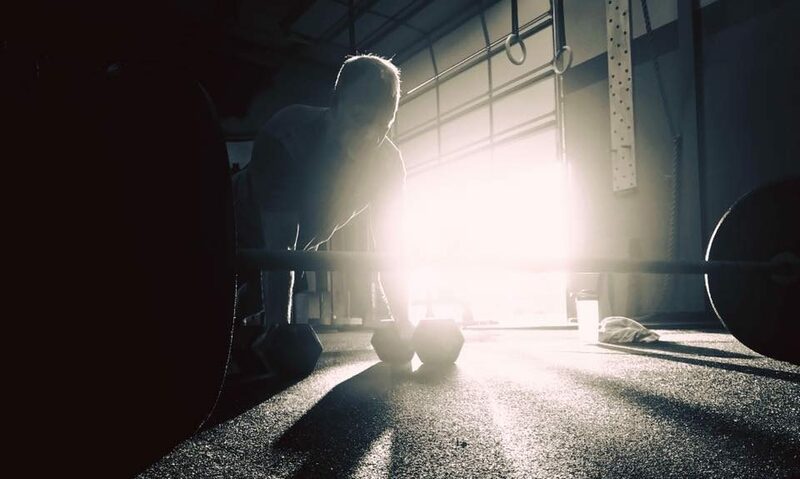 “My advice for someone interested in CrossFit is to try it even if you are intimidated. Every move can be customized to your ability and try not to judge yourself based upon what the person next to you is doing. We are all at different stages in our CrossFit journey and have our own strengths and weaknesses. Just give it your 100%.” Congratulations again Simone! Well deserved!